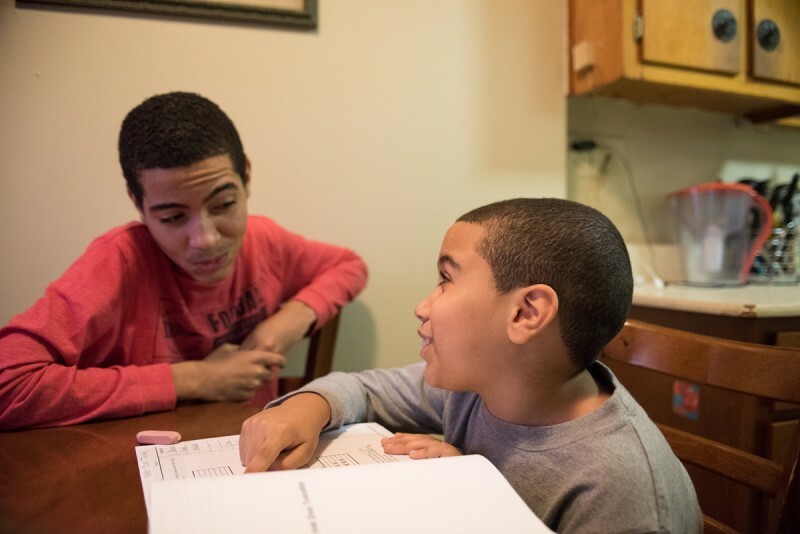 NEW YORK –– Last year, when Jann Peña was in eighth grade at a public school and his little brother was in second grade at a charter school, the little brother got more homework. That was just fine with Jann, an easygoing 14-year-old who passed his ample free time racing cars on his Xbox, but unacceptable to the boys’ mother, Jovanka Anderson, a Dominican immigrant who wants to give her children a better life than she has. Without his knowledge, she entered his name into a lottery for a new charter high school in their neighborhood, the impoverished Brownsville section of Brooklyn. The school had seven applicants for every student accepted into the first freshman class. Jann was one of them. And so this fall, he had to adjust to wearing a uniform every day (his last school required one, but he says there were more dress-down days than not) and staying in class an hour and a half later each afternoon. As one of only 66 students at Brooklyn Ascend High, he gets a lot more attention from adults than he did at a middle school of more than 900. Although that was a magnet school for kids deemed gifted and talented, its state test scores were mediocre and Jann says it was easy. At Ascend, where most students entered below grade level, Jann’s skills are about average. He tested at a sixth-grade reading level on the school placement exam in August and at midway through fifth grade in math. On the first progress report, he got A’s and B’s in every class except math, which he was failing. His principal, Melissa Jarvis-Cedeño, shares his mother’s desire to unearth his potential. She raised two boys who are half Latino, half African-American and knows all too well how critical the next few years will be in shaping Jann’s path. One of her sons is now working toward a master’s degree in public health. The other is serving a seven-year federal prison sentence after being convicted of gun possession and drug charges. 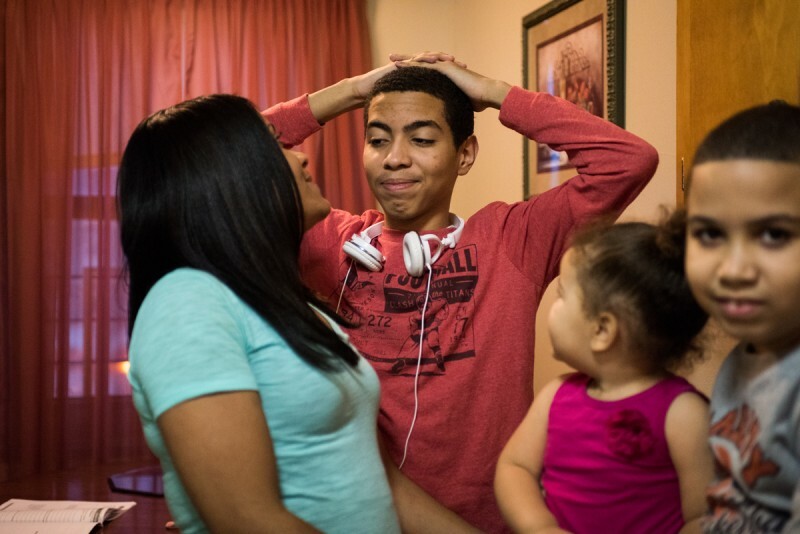 Across the country, high schools face their biggest challenges with poor, minority boys. Ascend aspires to break the mold of failure with an innovative design stressing critical thinking and character development over test prep, helping students discover who they are and what they want to become. Those who act out are supposed to make amends, not serve a suspension. Jann, who is shy but exudes a quiet confidence around physically bigger classmates and takes pride in his heritage at a predominantly black school, plans to be an auto mechanic. He trudges with a big red backpack to all his classes and methodically submits his assignments in thin, neat penmanship. He knows he could push himself harder but doesn’t see the point. “I’ve never felt inspired before, so I can’t really relate to that,” he said. He can’t name a source of motivation; he says he simply does as he’s told. His chosen career would at most require an associate’s degree, and a vocational high school program could prepare him for that field specifically. But he is open to aiming for a bachelor’s, and Anderson, his mother, wants him to have the middle-class option of changing his mind. Her heart is still broken over having her own high school diploma denied. 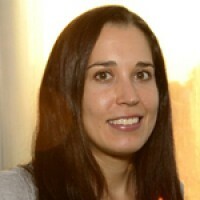 Growing up in the Dominican Republic, she completed the courses required for high school graduation back in 1999, when she was 18. To get a degree, however, she would have needed to pass an exam. A month before she was scheduled to take the test, her father in New York sent for her and her sister. Anderson says that when she inquired about GED programs, she was told she would need to repeat high school in the United States. That was likely inaccurate, but she accepted the answer as final. She once dreamed of being a pediatrician or veterinarian. At 34, still pretty and petite, she works grueling hours as a home attendant to the elderly and feels constantly overwhelmed keeping up with her three kids. Her husband — father of Jann, 8-year-old Jeremy and a 2-year-old girl named Emaily — is an Uber taxi driver who also dropped out of high school due to family obligations. Emilio Peña would have liked to be a mechanic, too. He and Anderson moved briefly to Maryland when Jann was a baby in search of better opportunities but found upward mobility impossible without a degree. In Brownsville, their family of five shares a single bedroom in an apartment Anderson keeps meticulously tidy to create a peaceful feeling in an otherwise decrepit and chaotic high rise. While Anderson viewed all local charters as superior to other public options, she chose two with different educational philosophies. Jeremy attends a “no excuses” school with zero tolerance for misbehavior and consistently high test scores, the result of extensive preparation. 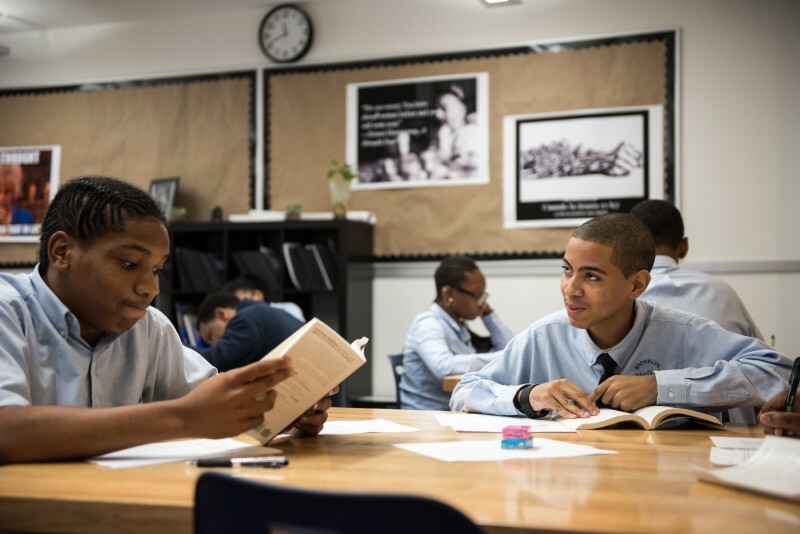 Ascend is the first high school in a small charter network emphasizing the liberal arts and an alternative discipline system. Anderson likes that it’s new and close to home. While Ascend elementary schools have not scored as well as their no-excuses counterparts, their leaders are banking on the idea that well-rounded, culturally-versed citizens will able to navigate social and economic pitfalls in college and life. That goal often eludes even the highest-performing American high schools serving students in poverty. 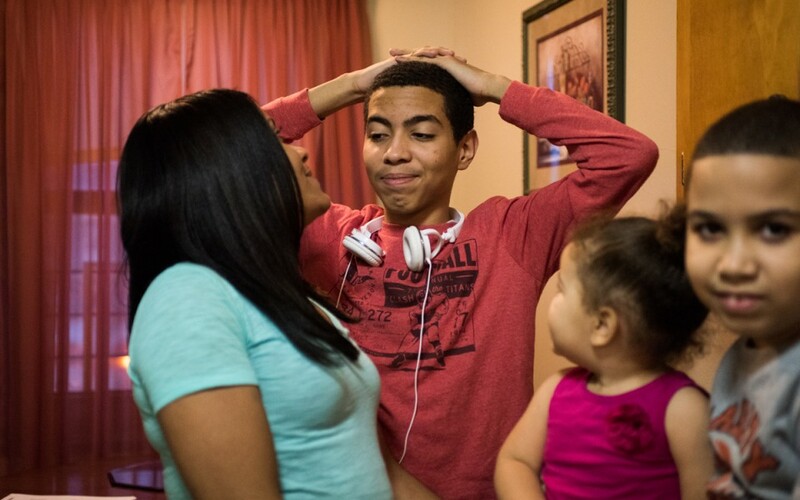 Living in a two-parent household, Jann has fewer risk factors than some of his classmates. According to teachers, one girl has had crying episodes in class; another is coping with the recent death of her mother. 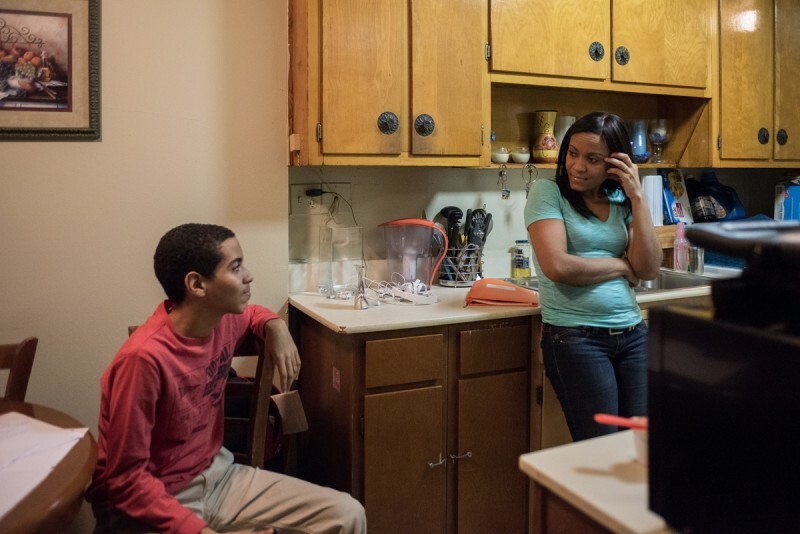 But principal Jarvis-Cedeño, whose husband was also there as her sons were growing up, worries most about the boys, for whom it is all too easy to find a sense of belonging in a gang and get trapped in the criminal justice system. That’s why she believes so strongly in the concept of school community and collective responsibility. Jann agrees it is important for administrators to help students work through their problems, but he’d prefer to be held accountable for his own behavior only. One Friday in September, he was annoyed at classmates who goofed off at lunch and caused the entire school to earn 19 minutes of detention; he didn’t understand why everyone had to be punished. That same week, the school dean’s cell phone went missing. He eventually realized he had left it in the copier room and apologized publicly, but not before all classes came to a halt and everyone became a suspect of stealing. Jann didn’t mind that his mother was unable to bring him to a weekend retreat the school hosted upstate during Columbus Day weekend to get parents and students dreaming about the future and planning how to get there. He was happy not to give up cell phone reception for two days. Anderson would have liked to join the 20 families who went on a blindfolded “trust walk” in an open field and revealed what they’d like to change about their lives, but she had no childcare for her younger kids. She was part of a huge turnout for the school’s first parent conferences in mid-October, shortly after Jann’s math teacher was threatened at a corner store on his lunch break and unexpectedly quit. Not only is math the subject where Jann has long struggled, it was the one opening where administrators hired a third-year teacher rather than someone with extensive experience. In English, Jann recently completed an essay about his age and ethnicity. He wrote that he’s happier now that he’s old enough for privileges like staying home alone and going outside by himself, and he enjoys surprising people with his ability to speak Spanish. “Being 14 years old is very important to me because it shows people a sign of maturity and respect that’s growing inside of me,” he wrote. Jann likes all sports, which are often a hook for otherwise indifferent students. He chose yoga as his school elective since he’d heard flexibility can improve athletic performance. Disappointed that Ascend does not yet offer gym class, he signed up for soccer and flag football after school, only to quit both activities because most afternoons his parents need him to pick up his little brother. While Jann estimates that he spends up to four hours a night on homework this fall, compared with “barely an hour” last year, he says Jeremy still gets significantly more. In third grade at Achievement First Brownsville Charter School, Jeremy recently had an assignment on latitude and longitude that Jann found similar to one of his in ninth grade. Still, the little brother often turns to the big brother for homework help. Hanging out with friends from other high schools, Jann envies an academic day that is two hours shorter than his. The Ascend faculty must prove to him and his classmates that a future with options is worth extra time invested. Without a dream to pursue, Jann opts to spend many weekend days inside sleeping, except when he has to go with his family to church. Adulthood, in whatever form it takes, will likely require hard work, he figures, and that will come soon enough.